At some point or another, most kids are picky. They are looking to assert some control in their tiny world where the big people put them in car seats, choose their clothes and create their schedule. These lessons carry into adulthood, which is why it’s important to give attention to developing your little one’s palate from the beginning. Learn how to feed picky eaters a healthy diet using these ideas from our panel of pediatric nutrition experts. Their insight may make mealtime a little easier – and varying your picky eater’s diet – a little less challenging. 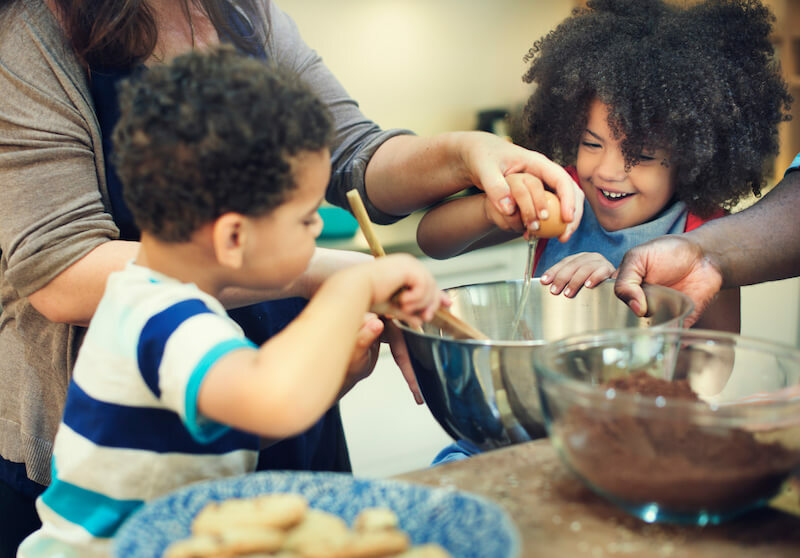 Dr. Blanchard suggests mixing new foods with foods your little one already likes, even just pairing something new with a dip they already enjoy. You can also incorporate new foods into other dishes (soups, casseroles and smoothies), especially if these are things your child is already agreeable to eating. Puree or chop new additions finely in order to introduce them gradually. As your child becomes more willing to try new things, increase the visible volume of the no-longer-new food. By this point, their taste receptors may become acclimated to the flavor and they'll be more willing to give it a go, even with those green pieces intact. Just like adults, kids can become bored with the same foods over and over again. Take a look at your menu for the week: Are there a lot of foods with similar colors, flavors, textures, and temperatures? Though we may be able to tell the difference between a sweet potato and a squash, to a child they might be too similar to be accepted day after day. Focus on a variety of foods, which helps them learn to appreciate new flavors and will reduce some parental anxiety over adequate nutrition. Offer small portions of a few different whole foods at a meal and allow your child to select which ones they'll eat at that particular meal. Pack up anything untouched to try again later. It matters less what your child refuses to eat if everything offered is a whole, nutritious option. They get some control and you’ll have peace of mind over the quality of what's going in. Similarly, you can switch up when certain types of food are served. Serve breakfast foods at dinnertime, or dinner foods at lunch or breakfast. Sometimes novelty alone can be a powerful motivator to try something new, and it gives you a little more flexibility with meal planning. No luck introducing broccoli on its own? No problem. Particularly if your little one has developed an affinity for processed, highly palatable snack foods, natural flavors might not cut it. Dress whole foods up with a little sauce or spice - especially if you know they enjoy a particular flavor like cinnamon, chili or dill. Teaching kids to appreciate whole foods, including ones that have been doctored with condiments also made from whole food ingredients, may help build their palate early on. Spice and natural flavor can help grow your little one into a lifelong foodie, which, Dr. Blanchard says, may help them maintain a more varied, healthy diet for life. While it might seem like the easiest option, offering your kid a treat for eating a healthy food will work against you in the long run. Doing so distinguishes some foods as “good” (read: yummy) and others as “bad” (read: icky). Instead, aim for variety of a healthy options. Pay attention to how much sugar your child consumes as it may impact their willingness to try new things. “Some studies suggest added sugar and artificial sweeteners can alter our taste preference, so certain foods, such as sweets, sweetened drinks, and salty and savory snacks may hinder a child’s enjoyment of whole foods,” says Dr. Eneli. It’s a matter of balance, though, “as excessive restriction of these foods can also sometimes backfire,” Dr. Eneli adds. Find a happy balance between whole, nutrient-dense options and the occasional treat offered for enjoyment, not as a reward. If you’re constantly noshing, your child may come to expect that is how we eat. It may not help them to accept new foods, particularly come mealtime. Whenever possible, aim to eat at the table, distraction-free, and encourage open conversation about what you’re eating and why you enjoy it. Every child is unique. Their tastes and openness to new foods will differ, even from their siblings. When it comes to introducing those new foods, Dr. Blanchard says it can take upwards of ten exposures for a child to feel comfortable trying it. “Just keep trying,” she advises. And what if your kid just refuses? Should you force them to eat or withhold other privileges until they do, with the hope of teaching them that food is actually all right? Our experts say no. The chances of your child being undernourished are low. It’s most important is to cultivate is a long-term healthy relationship with eating, which Dr. Eneli says can be accomplished by staying patient with your process. Keep in mind that, often, the battle over trying new things isn’t necessarily about the food. Your picky eater may be looking to assert a little autonomy at mealtime. Each time they refuse a food and we give in, we reinforce their behavior, making it more likely to recur. When offering a new food, bring with it the simple expectation that just taking a taste is a victory. If your child turns it down, they turn it down. Remain positive and try again at the same meal later in the week. “Children are much more likely to try new foods because they were part of the process to make them,” recommends Dr. Tauber Prior. Dr. Blanchard recommends offering manageable tasks at an age-appropriate level. “An 18-month-old can mix things together, while older kids can help measure and pour ingredients,” she says. Similarly, shopping for food can be a valuable teaching tool, too, and a fun way to introduce kids to the whole food experience. “Let your child choose one fruit and one vegetable that the family will eat during the week,” recommends Dr. Tauber Prior. Bonus! That’s part of your meal planning done for you. It's important to remember that your little one doesn't yet know what they do and don't like: their tastes change every day. Consider that as adults, we feel like having veggies on some days, and on others we feel like pasta. It's our job to introduce little eaters to the great variety of foods that are available to us, which includes understanding that we can't have our favorites at every meal. This can be a valuable piece of your ongoing conversation about eating as your child continues to explore new flavors.